Pinnacle Crystal Mist Detail Spray 128 oz. Home > Shop By Brand > Pinnacle Natural Brilliance > Pinnacle Crystal Mist Detail Spray 128 oz. You'll agree, this is the Ultimate High Gloss Detail Spray! Pinnacle Crystal Mist Carnauba Detail Spray is formulated with restructured gloss-enhancing crystalline polymers, nourishing oils, and real Brazilian carnauba wax to provide your vehicle with an instant burst of shine and slickness. Pinnacle Crystal Mist Carnauba Detail Spray is the next generation of quick detailers. Pinnacle Crystal Mist meets all VOC standards in all 50 states. But, absolutely nothing was sacrificed in the remaking of Crystal Mist. 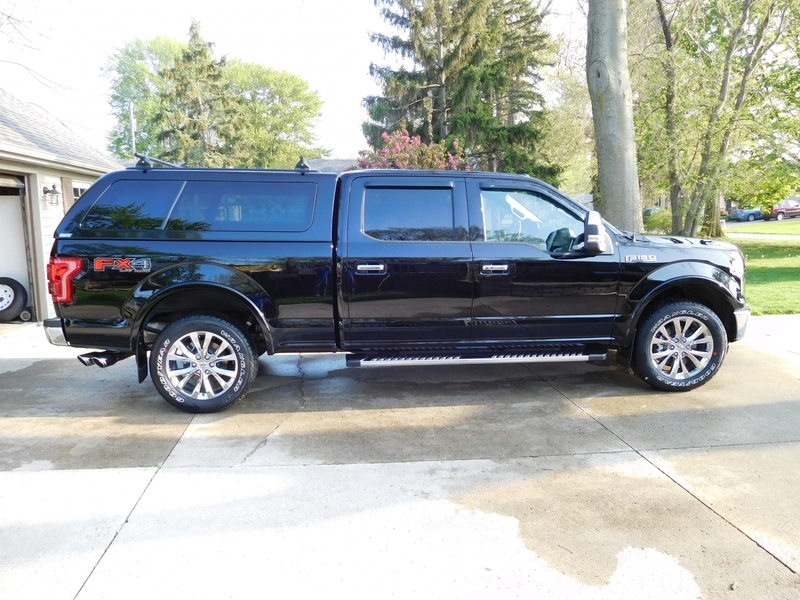 The real carnauba wax, the crystalline polymers and the natural oils have been reconfigured and maximized to create the ultimate high gloss detail spray. The crisp reflections and deep, wet shine of a fresh coat of wax are soon covered by a light layer of dust, dirt, and pollen. Crystal Mist lubricates the paint surface to remove light contamination such as this, without scratching or marring the finish. Paint will appear clean, vibrant and brilliantly glossy. The oils in Crystal Mist do more than lubricate dirt; they also enrich automotive paint. The paint, including clear coat, is actually a porous surface that can dry out or be hydrated with oils. Crystal Mist is packed with compatible oils that improve paint’s texture and appearance for an overall healthier, more youthful-looking paint finish. 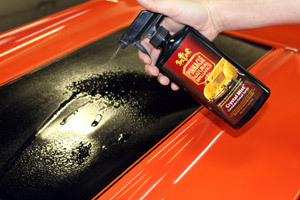 Natural carnauba wax gives Crystal Mist its distinctive, wet-looking shine. Carnauba, combined with crystalline polymers, creates sharp reflections and silky paint. This state-of-the-art carnauba-polymer matrix also enables Crystal Mist to bond to the existing wax for an instant but long-lasting gloss. Particularly on top of Souverän™ Paste Wax, Crystal Mist reactivates the existing wax so you’re not just seeing a surface gloss – you’re seeing the depth and dimension of multiple layers of carnauba. 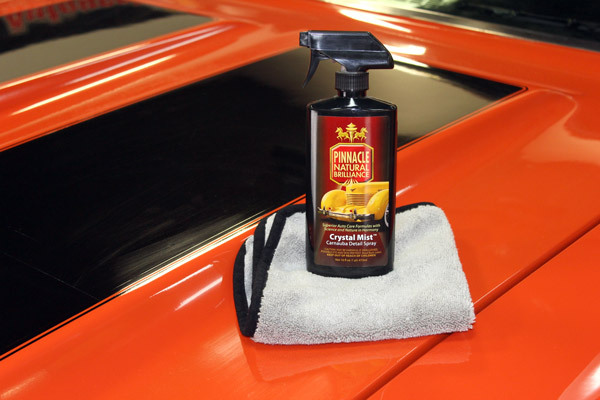 Pinnacle Crystal Mist boosts the finish of any color vehicle, leaving the surface clean, shining, and radiating a warm carnauba glow! Pinnacle’s research into crystalline polymers has yielded polymers that refract light similarly to cut crystal. Because of these multi-faceted polymers, Crystal Mist makes light dance over the curves of a vehicle. 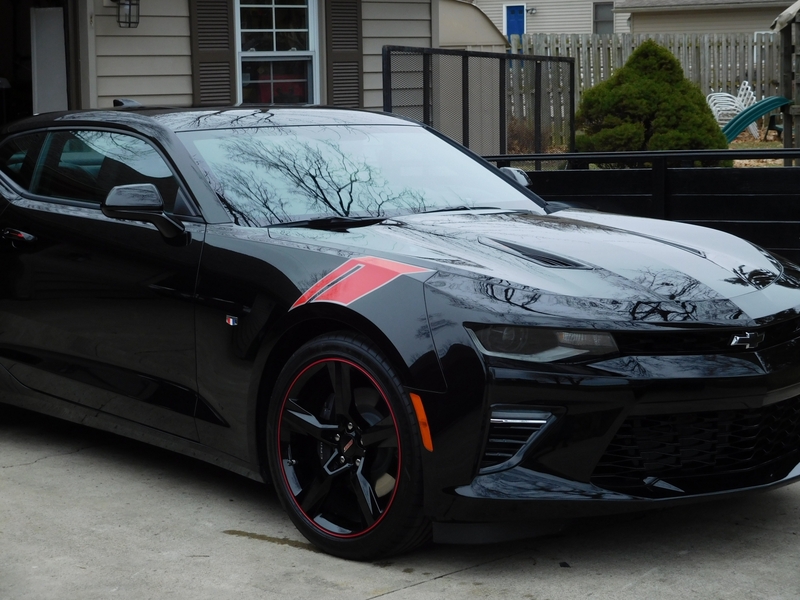 Black and red vehicles will have a particularly dramatic effect with the paint bathed in brilliant light and glossy reflections. The proprietary blend of ingredients in Pinnacle Crystal Mist has been reformulated to meet all VOC requirements for a quick detail spray. This reformulation created an exceedingly surface-safe product that dazzles on any type of paint. Crystal Mist has oxygen-activated polymers that bond to the paint as they are exposed to air. Ten minutes after applying Crystal Mist, the paint feels even slicker and looks wetter because the polymers have reacted with oxygen. If you are applying Crystal Mist on top of Souverän™, you’ll see exceptional results after the polymers react and bond to the existing carnauba wax. Pinnacle Crystal Mist is compatible with all waxes and synthetic sealants. The natural oils and carnauba allow Crystal Mist to perform well in hot, humid climates. For the best results, always use a plush microfiber towel. Renew the just-waxed shimmer with Pinnacle Crystal Mist. This advanced formulation cleans and shines with an ultra-safe, ultra-shiny combination of ingredients that you won’t find in any other quick detail spray. Directions: 1. If your vehicle is particularly dirty, wash and dry it before applying Crystal Mist. 2. Spray a thin, even mist onto one panel at a time. 3. Buff to a bright, reflective shine. 4. Using Crystal Mist as you towel-dry your vehicle will prevent water spots by wiping away mineral deposits. Detailing Tips: Mist dry foam pads with Crystal Mist before applying polish or paste wax by machine. The lubricating oils will allow products to spread more easily. Crystal Mist also helps remove stubborn wax residues. If you are applying a wax or sealant and you find white chalk residue on trim or emblems, use Crystal Mist and a soft cloth to clean up. I have found this product to be exactly as advertised. 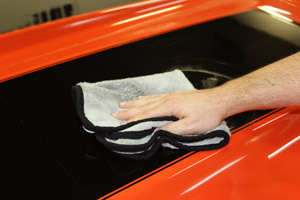 You simply spray a light mist, and lightly buff with a microfiber towel. It leaves a brilliant shine. Did I say it's fast? You can do an entire vehicle in 15-20 minutes. I use this product in-between waxes or when a fine dust is present and I'm taking the Camaro out. This is my second purchase of the 128 oz size. I use it on every vehicle, F-150, Camaro, and my boat which all are black in color. ProsThe 128 oz size is cost effective and usually last an entire summer for my use. My grand daughters like the smell of the product. Super easy to use. Great shine. ConsNo cons for me, the Pinnacle Crystal Mist Detail Spray does exactly what it says it will do. I have used many quick detailers over the last 20 years and have not found a product that rejuvenates the wax base as good as Crystal Mist. When bought in the gallon jug the cost is very competitive with any product I've used. How can it be better? Buy it by the gallon! After a good wash/polish/wax I intermittently use Crystal Mist after driving my car. It extends the shine and protection while being "slippery" enough to not cause swirls or scratches. Ordering the 128oz and pouring into a spray dispenser works perfect. ProsUse with a clean microfiber and no scratches. Extends the shine on my black car. Simply the best detail spray.